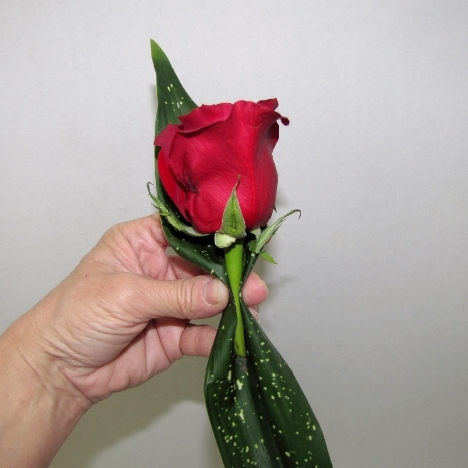 Using beautiful flowers for boutonniere can be more than a simple rose pinned to a tux lapel. Professional florists demand high prices because of the skills and the "extra touches" such as mixed greenery and touches of flower jewelry. You can make similar boutonnieres and corsages and save money by providing your own labor. I'm going to show you how! 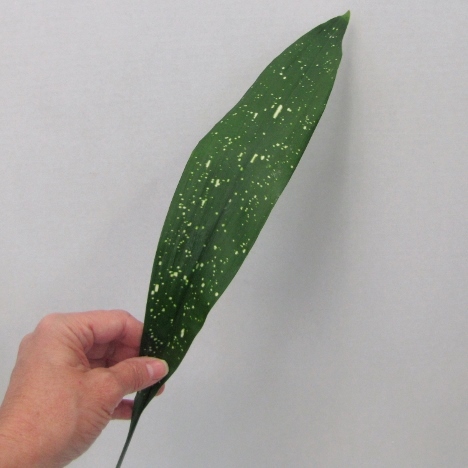 Aspidistra leaves are long and narrow and come both in solid green and a variegated variety as shown below. They are wonderful additions to bridal bouquets, church florals and reception centerpieces. 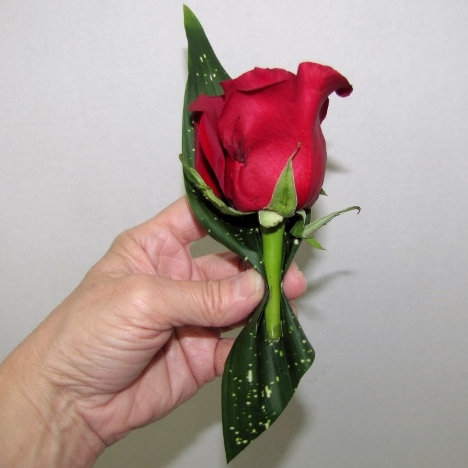 I'm going to add this interesting leaf to this red rose boutonniere. 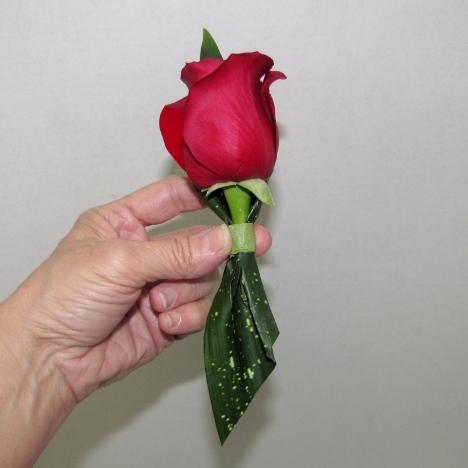 Place the leaf behind the rose and fold it forward around the stem of the flower. You will pinch it tightly and fasten with either corsage tape or tightly wound decorative skinny wire. I cut the bottom part of the leaf off and set it aside for later. 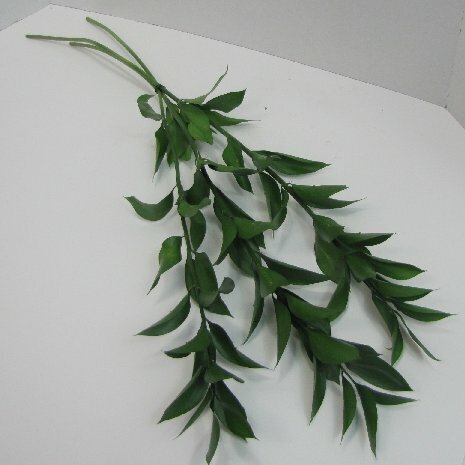 Right now I want to tape these two elements of the boutonniere together right where I'm pinching the leaf. Corsage tape comes in different colors - but I'm using a light green for this design. I will be concealing the tape (or as florists call it "the mechanics") later on. 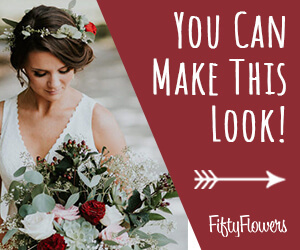 I think the key to making professional looking rose boutonnieres is the interesting greenery and design elements that you add to the design. 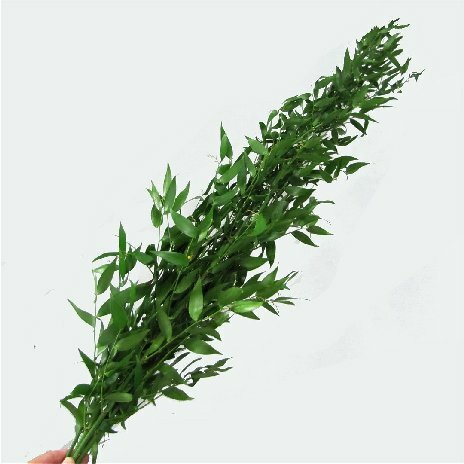 Italian ruscus has beautiful glossy leaves and comes either in mixed bunches or a single bunch. 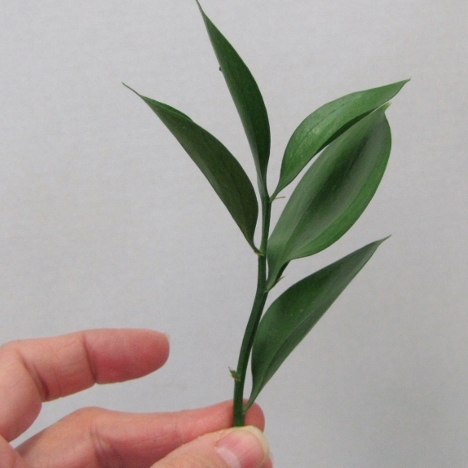 Ruscus comes in Italian (narrow length leaves) and Israeli Ruscus (more rounded leaves with less to a stem). Both are great for creating for corsages and boutonnieres. I generally use a Leafshine or Leaf Gloss for cleaning the dirt and white splotches from hard water off the leaves. 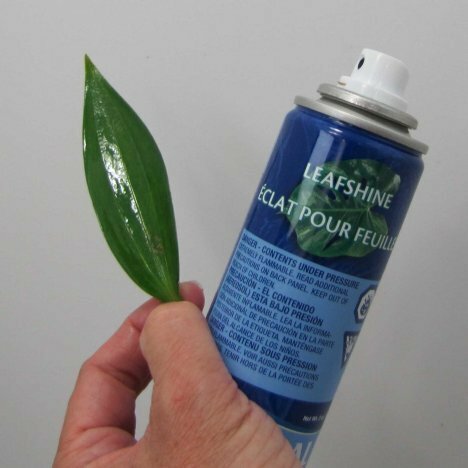 Just spray and allow the greenery to dry. 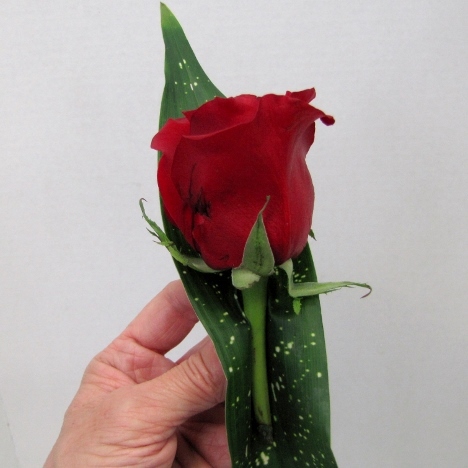 Earlier you cut off the bottom part of the aspidistra leaf and wrapped the top part of the leaf around the rose. 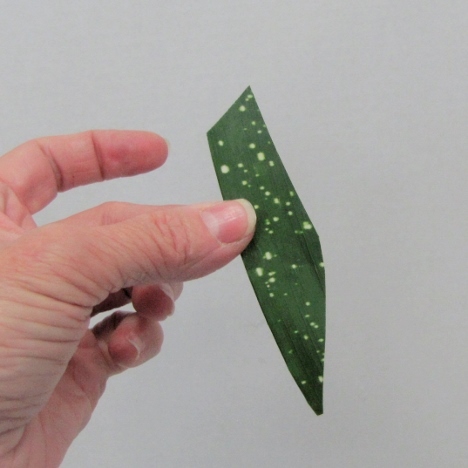 I now trim a portion of the leaf that wasn't used earlier into a pleasing shape.